Ardel Steel has established a solid reputation in the fabrication, distribution and installation of reinforcing steel and related products industry. The company was founded in 1980 by Arnie Matt and was focused primarily at servicing the home building market. After years of long days and hard work, Arnie was able to capitalize on his success and break into the industrial and commercial market. Over the years Ardel has added products and services to meet the needs of our customer’s and industry. 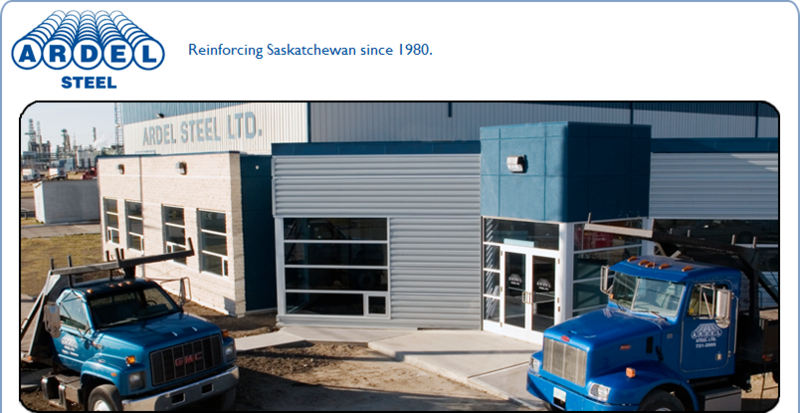 state-of-the-art equipment, a fleet of delivery trucks and the only indoor fabrication facilities in the province, it’s easy to see why we are Saskatchewan’s rebar leader. all the time, every time. With a wealth of experience throughout our entire organization, from sales to CAD Technologists to fabricators, you can be assured that a trained professional is here to help you. Ardel has a presence in our community and holds memberships with various organizations such as the Regina & Region and Saskatoon Home Builders Association, the Saskatchewan Construction Association, the Regina Construction Association, the Saskatoon Construction Association, Chamber of Commerce and the Canadian Federation of Independent Business. We believe business should have a social conscience and we graciously and humbly do our part by contributing to national, community and individually-driven charities such as Habitat for humanity, Hospitals of Regina, Souls Harbour Mission, United Way, Heart and Stroke Foundation, The Cancer Society and more. We at Ardel Steel are proud of our accomplishments and will continue to grow, change and be totally committed to our industry, our communities, and our valued customers.